Inspired by the blonde bombshell, Jeane Harlow, this statement sofa has an opulent look that represents the glamour of Hollywood in the 1930s. 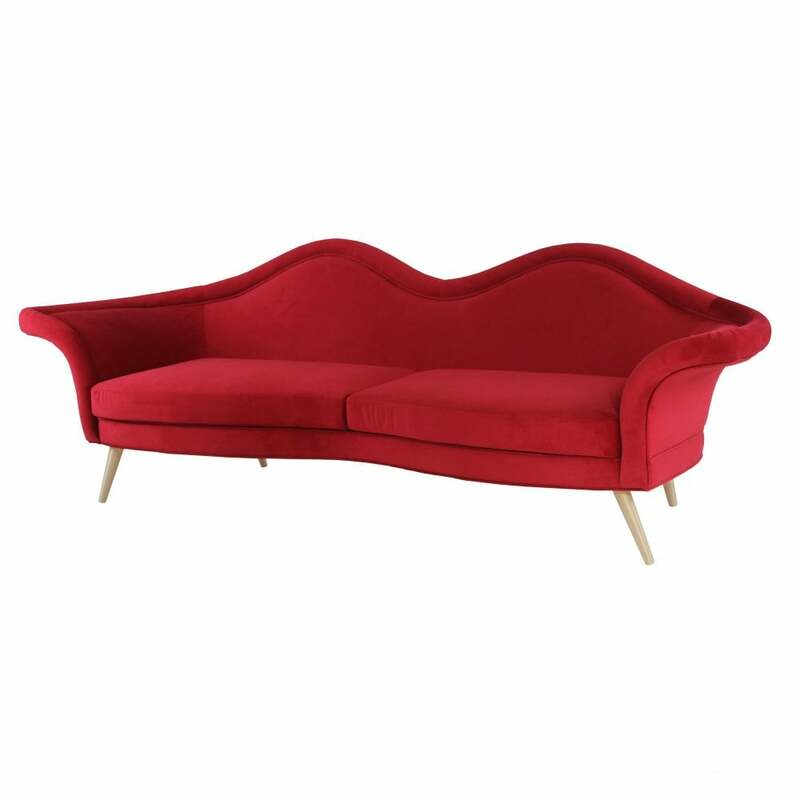 Part of the Century Collection by Ottiu, the Jeane Sofa features a curved heart-shape back and winged armrests that resemble the lipstick pout of the Hollywood actress. Upholstered in the finest velvet, the sofa is hand-crafted by skilled artisans. A grandiose yet contemporary design, the stylish frame rests on polished brass feet complementing the bright pop of colour. Style within a bright and neutral space to let the sofa shine. French accessories and gilded accessories work beautifully with this opulent sofa. Available in a range of fabric and colour options, get in touch with our team to discuss bespoke requirements. Priced for Upholstery: Ottiu Fabric. Structure: Pinewood, polished brass legs.